Oh my goodness Lovelies, we are SO excited to be bringing you this giveaway from Small Moments today. 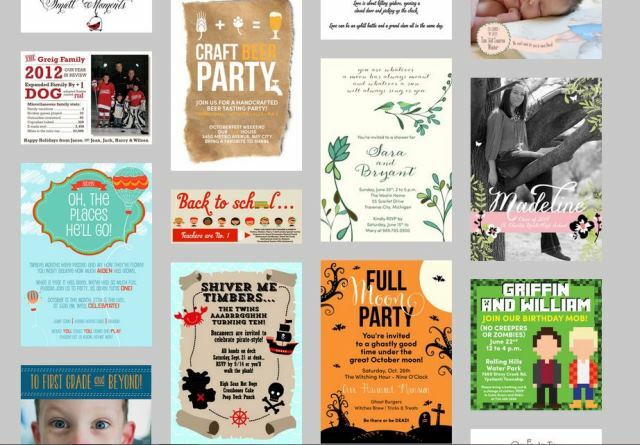 Small Moments is an AMAZING online invitation site where you can get every invitation, announcement and card you could ever need for any occasion. Halloween, Christmas, Family Reunion…even play dates, they have everything you could ever need and you can customize anything on their site to whatever you need! Remember our Dirty Thirty post? There Fabulous Pink Script Invitation was on it! This is just a snap shot of the wonderful things they have on their site. 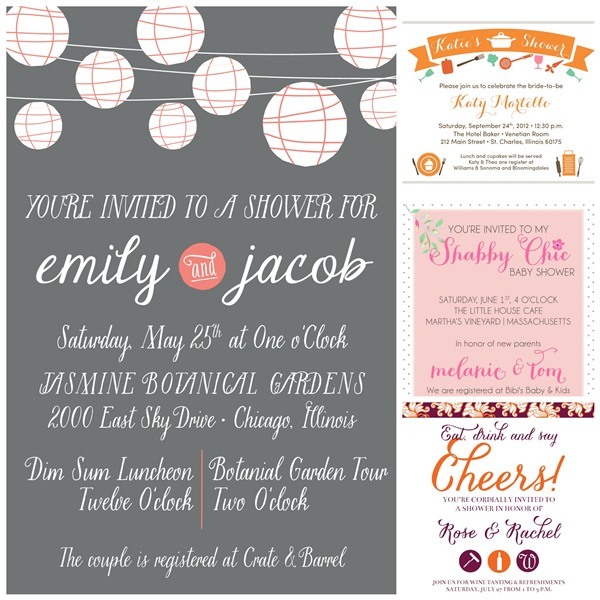 25-50 Invitations with Envelops to your choice of A Bridal Shower, Baby Shower, or whatever occasion you like! They even have Baby Announcements if that is your fancy. A Package Valued at Over $100! Make sure to look around their shop to decide what design is best for you…there are lots! 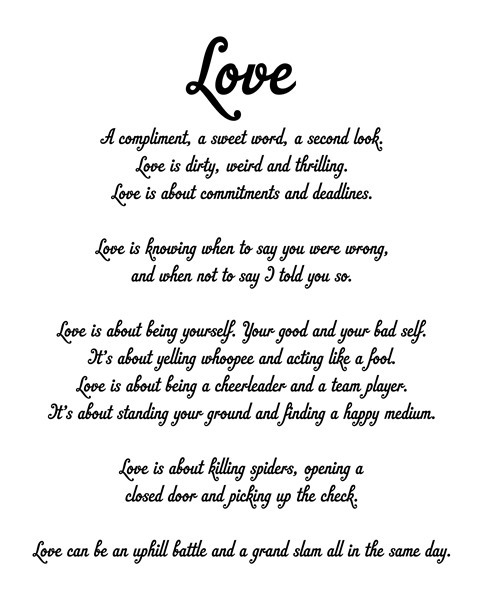 Prize: 6-10 Sweet Like Candy Cards, A 8X10 Printed Love Is Poster AND 25-50 Invitations with Envelops of your choice! Entry: Giveaway entry through the various entry methods on the RaffleCopter Form. No Purchase Necessary. The number of eligible entries received determine the odds of winning. Eligibility and Rules: No Purchase Necessary. This giveaway runs from 12:ooPM PST on September 28th, 2013 to 11:00PM PST on October 5th, 2013. It is open to individuals over the age of 18 and residence in the US. The winner will be chosen randomly through the Rafflecoper. It is the sole responsibility of the winner to adhere to all laws in their respective country, which includes payments to any governing tax body. This giveaway is void in any country where it is prohibited by law. Claiming Prize: One the winner is determined, we will contact you via email or facebook of your winnings. The winner must claim their prize within 48 hours of receiving notice. If you do not claim your prize within this time frame, your entry will be void and another winner will be drawn. We don’t want to have to do this! Please ensure that the email B.LovelyEvents [at] gmail [dot] com is on your “safe list.” Once you decide which invitations you would like to choose, we will get that information as well as the shipping information over to Small Moments and they will ship it directly to you. The shipping will be covered by Small Moments as well. Disclosure: This giveaway is a blogger-sponsored event that is in no way affiliated with Rafflecopter, Facebook, Twitter, Pinterest, Instagram or any other social media channel. If you have questions about the administration of this giveaway, email Emily at B. Lovely Events at B.LovelyEvents [at] gmail [dot] com. I love, love, LOVE Small Moments!!! I got my daughter’s birthday invites from there and would highly recommend to anyone that is look for an invite, note card, change of address, etc. I have absolutely fallen in LOVE with the lantern invites! We’re planning late night outdoor beachy wedding that will be filled with lanterns and lights draped all over the place. I love the family tree design! I love the wine tasting party invites. The yellow and gray flower invitations are so cute!! oh the places you’ll go invites! I love the I Only Have Eyes for You invites!! I LOVE the One True Love Save the Dates! So pretty! The yellow and gray flower invitations match our color scheme perfectly! Love the wine tasting party invites! Oh my! I have so many favorites! 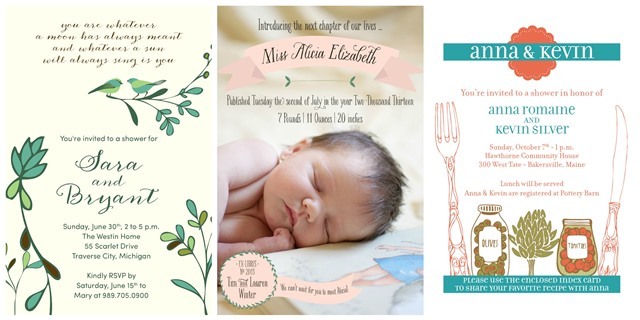 And I have quite a few events coming up that I could use these amazing invites for. My parents surprise anniversary party, my bridal shower, my bachelorette party, my wedding, beautiful thank you cards! All the designs are so wonderful! Love the rose invitation for a bridal shower! The lantern invites are so cute! It would be a difficult choice. They are all so beautiful! I LOVE LOVE LOVE the “Family Tree using names” Wedding invitation! It is perfect for our family oriented group! We plan a small wedding in Gatlinburg, TN with only close friends and family and in the Fall so this tree invite would be perfect! I like the flower birthday invitation! My favorite would be the custom stationary 🙂 I love that idea!